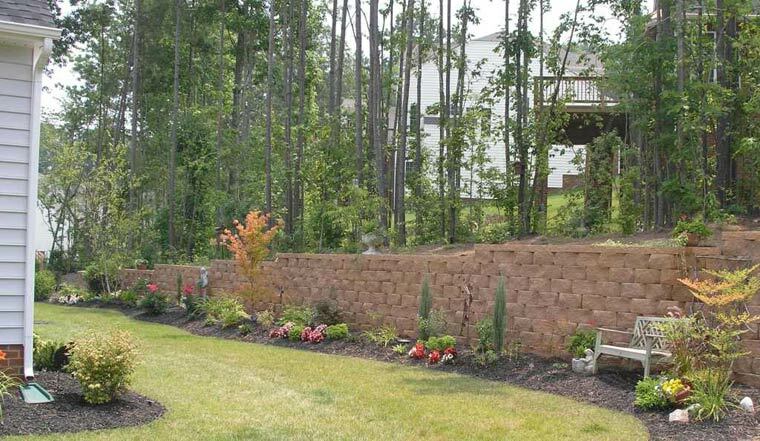 Retaining walls have different purposes; earth retention, landscaping, soil reinforcement, water applications such as sea walls, departments of transportation (DOT) and aesthetic value. Engineering is required for dry stack retaining walls over three and a half to four feet in height. Please seek out a good Geotechnical Engineer in your location. Geo-synthetic grid (geogrid) is also required on larger retaining walls. Applications include residential, commercial, water and industrial. 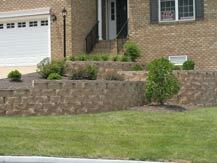 Some small residential retaining walls can be constructed by the do-it-yourselfers (DIY), other larger and more complicated walls would need a professional contractor for construction. 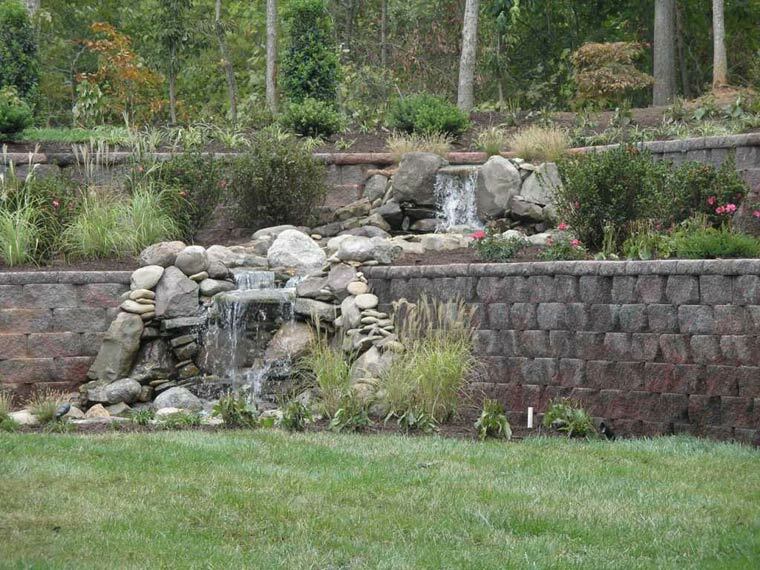 See information on how to build a retaining wall. 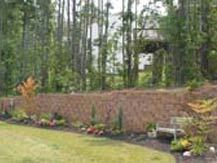 Some residential retaining wall manufacturers are: Anchor, Allan Block, Versa-Lok, Redi-Rock, Rockwood, Keystone, Pavestone. 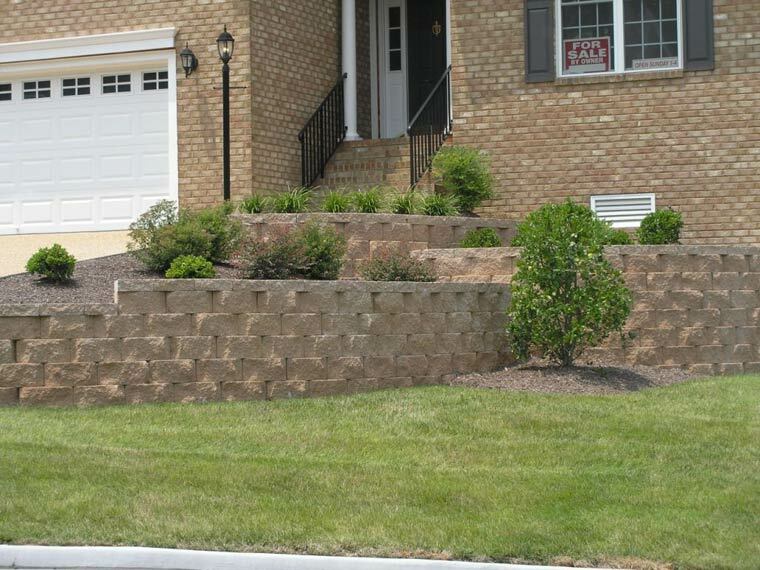 Serpentine, tiered, curved, branched and straight are some types of retaining walls used in residential applications. Some can include a waterfall feature for added landscaping appeal. Pavers compliment retaining walls from walkways, sidewalks, patios and around swimming pools. Pavers come is various forms such as concrete, permeable, brick, grass turf, stamped concrete, flagstone and more.